Versailles,St Rt 129 S to R. on Benham Rd to past County Rd 600 S to house on left. Sign on. 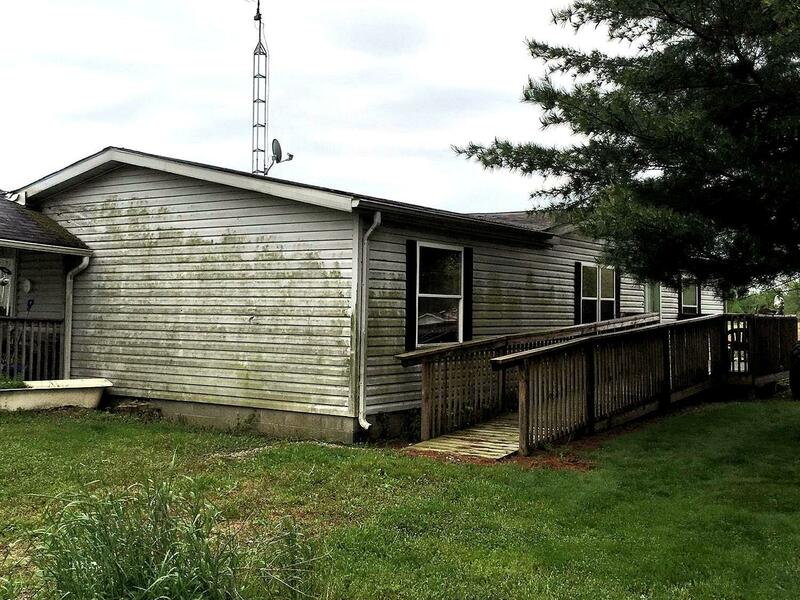 Manufactured home on 3 Country Acres with a 20 x 30 Garage with electric and gravel. Also a 40 x 60 pole barn set up for a work shop and storage. Needs a little TLC, but over all will make someone a really nice place. NOTE: This property was sold on 9/7/2016 and is no longer available. The details listed below are believed accurate to the date of the sale and are subject to change. This listing courtesy of James Benham (812) 926-2278, RE/MAX Advantage 1 812-926-2278.